Tihar is the five days celebration in Yama Panchak. 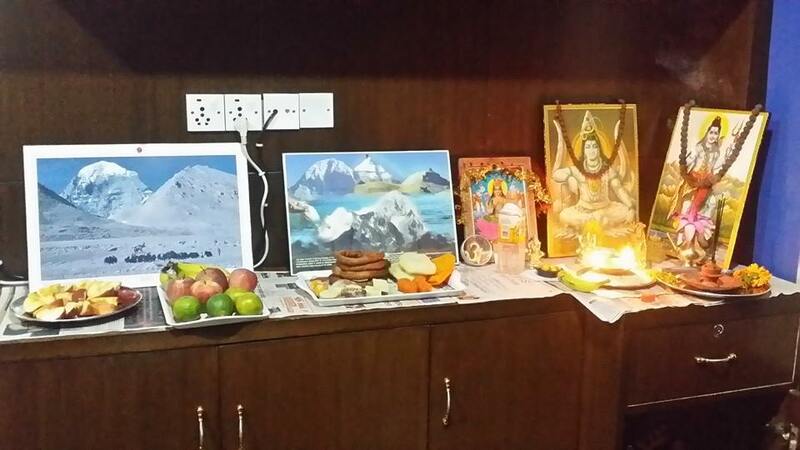 Tihar is the most celebrated festival after Dashain in Nepal. It is a five-day festival celebrated in late autumn. It has its unique ways of celebration. 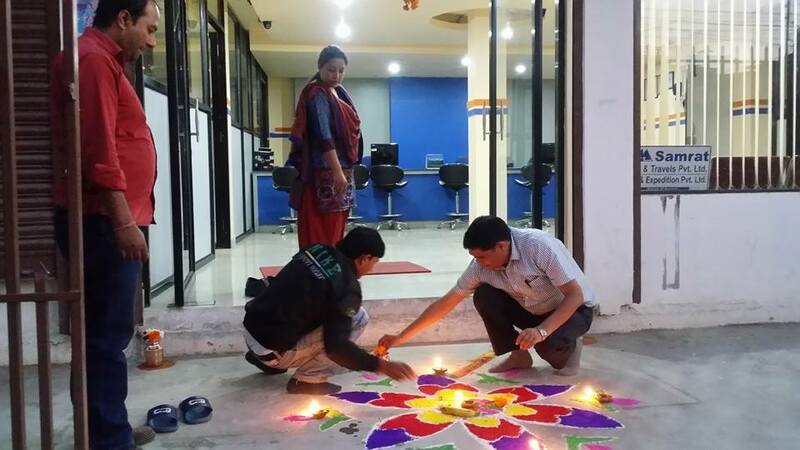 There are various stories about the celebration of Tihar. One of the famous stories behind the celebration of tihar is related to Yama the god of death and his sister Yamuna. Yama had been staying away from his sister for a long time. His sister wanted to meet him so she asked various sources to visit him and ask him to give her a visit. She sent crow, dog, and cow and at the end she went herself to see her brother. She worshipped him with tika and flowers, she put him five colored tika. Yamuna made a circle with mustard oil, Dubo Grass (Cynodon Dactylon) and put Makhmali Mala (Globe Amaranth) and asked Yamaraj not to go till the oil, Dubo Grass and the flower gets dry. Therefore, every sister worships her brother keeping him in the circle of mustard oil, putting mala (garland) of Makhmali flower and Dubo grass. 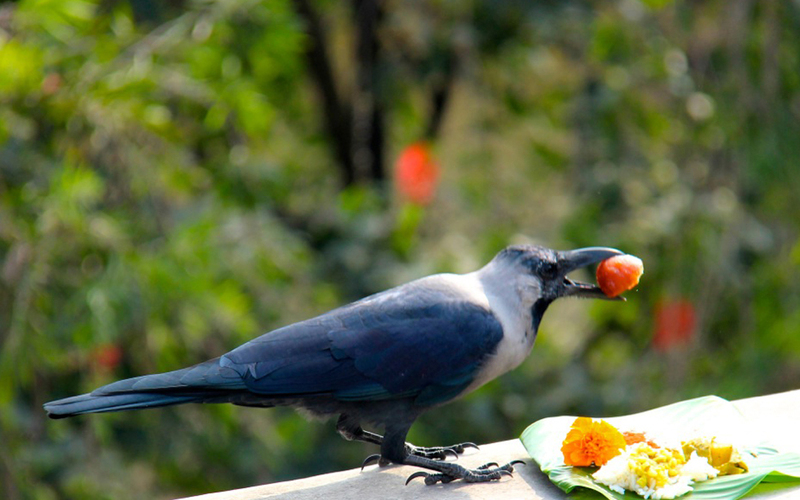 On the first day of Tihar, crows are worshiped and fed early in the morning. People leave different food items outside for crows to eat. Crow is considered to be the messenger of death. People believe the crow gets the messages to the house in the morning. People worship it to bring good luck themselves. 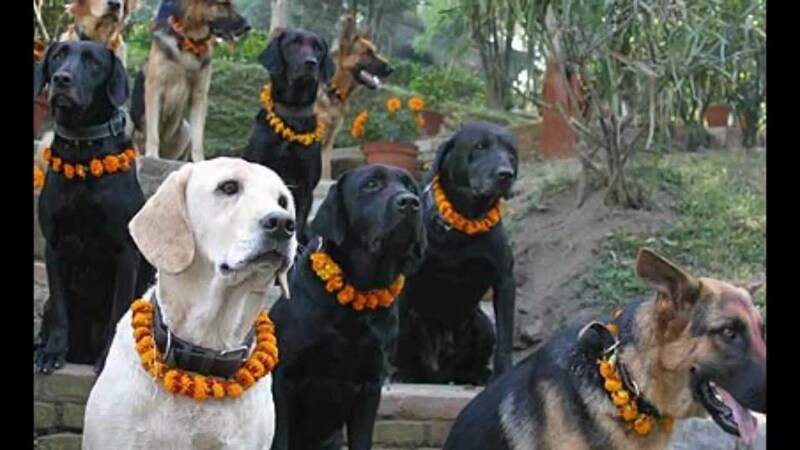 The second day of tihar is dedicated to the most loyal friend of mankind. Kukur, the dog, Puja is done by putting a red tika on dogs forehead and flower garland around the neck offering him foods and sel roti. Generally male dogs are worshiped. It is said dog can see endangers and the death coming. On the third day of tihar Cows are worshipped in the morning. Cows are worshipped with sesame oil light, garland of flower and red color (abir). Wheat flour, sel roti, rice and dal are feed to cows. Disciples try to pass in-between four legs of the cow. Cow is regarded as mother in Hindu religion, as we grow up drinking her milk. Some look cow as Goddess Lakshmi, the goddess of wealth and prosperity. In the afternoon we clean our houses, paint floors with Red Mud (Rato Mato) and cow dung (gobar). Small circle are made in front of the main gate and decorated with colorful designs. 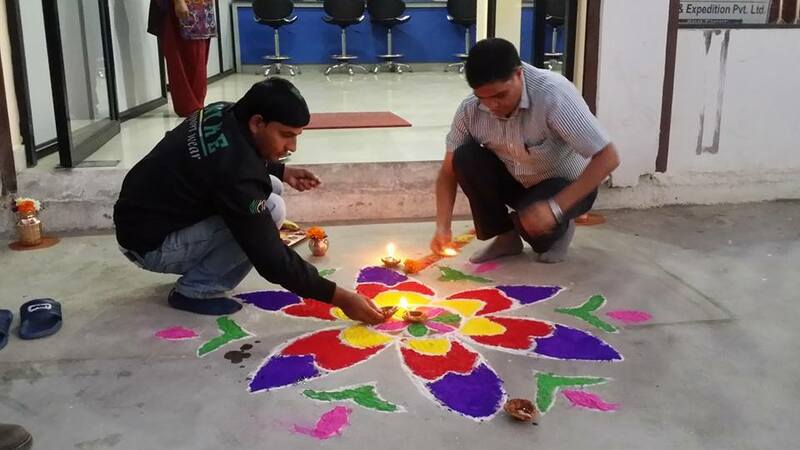 Some people call it rangoli. Small designs of footsteps are painted from the main entrance to the puja kotha. These footsteps are believed to be the footsteps of goddess Lakshmi. Candles or pala are lit all over the house making it bright and beautiful. There is a long tradition of going housed in the evening singing songs to ask for money and foods. Generally girls and kids go out to neighbors sing traditional songs called Bhailo songs. The tradition is called “Bhailo” and songs are called Bhailini songs. Fire crackers are blown in this day. People play cards in Laxmi puja to welcome goddess Laxmi in the night. 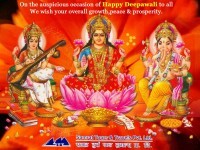 People believe, laxmi comes to the house which is clean and bright. 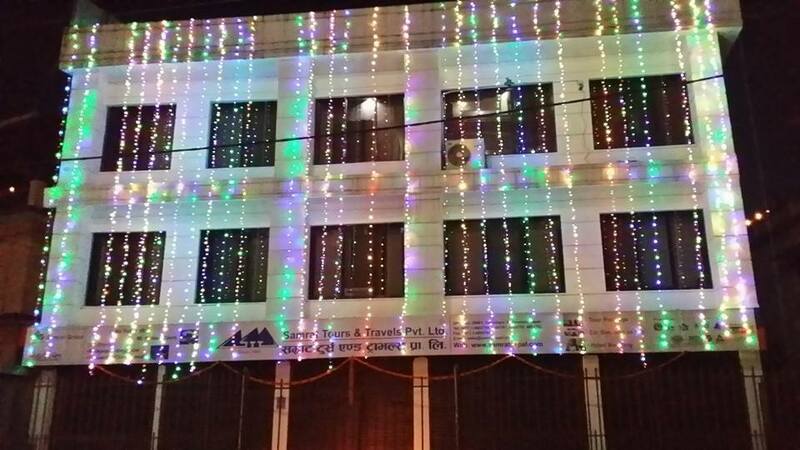 In the evening the goddess of wealth Lakshmi is worshiped by lighting numerous lights and lightening works. 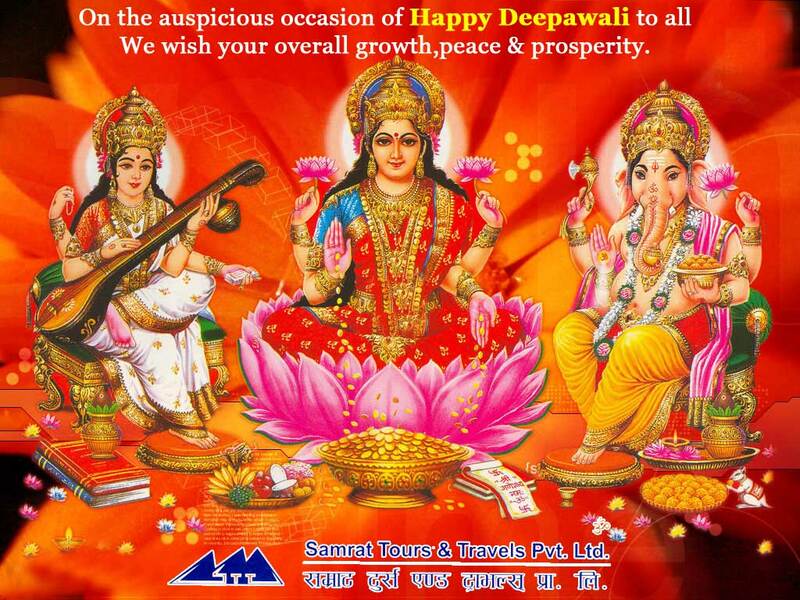 It is believed that by worshiping Laxmi and pleasing her in return she gives us wealth. People worship wealth and food store this day. Fourth day – Goru Tihar (Govardhan parbat ko puja) and Mah (aatma or self) Puja: On Govardhan puja Goru Tihar, three different Kinds of puja are performed. We perform Goru Puja, or worship Oxen. We also perform Govardhan Puja, which is done by making a hill of govardhan parbat using Cow dung. Cow dung has big importance in Hindu culture. In the old days it was used for everything from light at night (Methane) to polish mud floors of traditional houses. 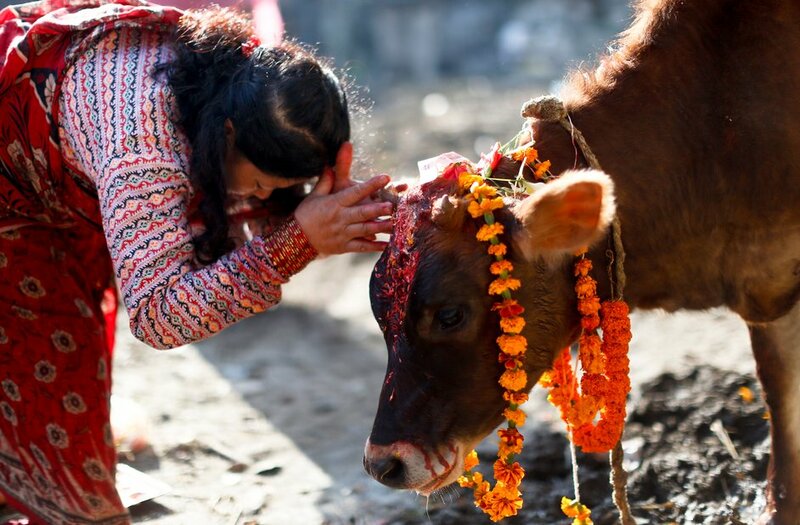 Still now no Puja is complete without cow dung in Nepali Hindu culture. 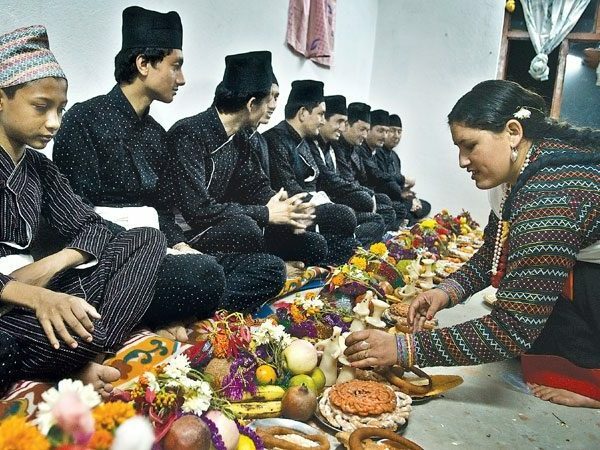 In this night Newar community perform Maha Puja also known as self-puja. It is done to purify our body. In this puja a Mandap decorated with Saipatri (marigold flower), sweets and fruits and a special Mala (garland) which is made of thread is kept. Each member of the family has one Mandap. A female member of the family offers the person sitting on the Mandap a Sagun with her hands crossed. Shagun usually consist of fried eggs, fruits, sweets, meat, fish, lentil and pastries. In the left hand with egg and fish and in the right hand Rakshi (homemade alcohol). 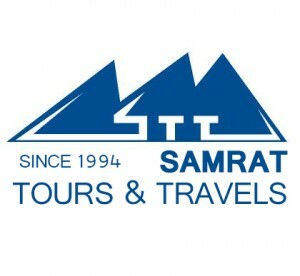 This day is also the beginning of Nepal Sambat, Newari New year. 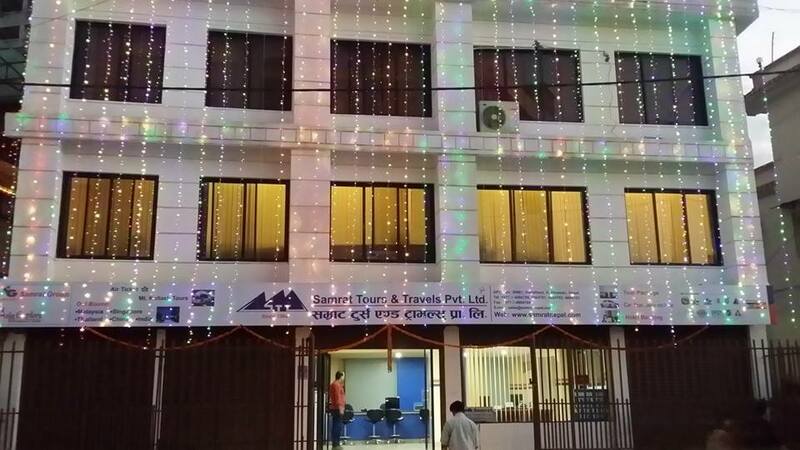 In the evening many Nepali children and young men go house to house singing Deusi song (Aahai bhana mera bhai ho deusi re bhana na bhana deusere). Deusi is very similar to Bhailo. Bhailo is primarily for female and Deusi for male. However, now a days there is such distinction. People go in group with males and females members to celebrate Bhailo and deusi both. 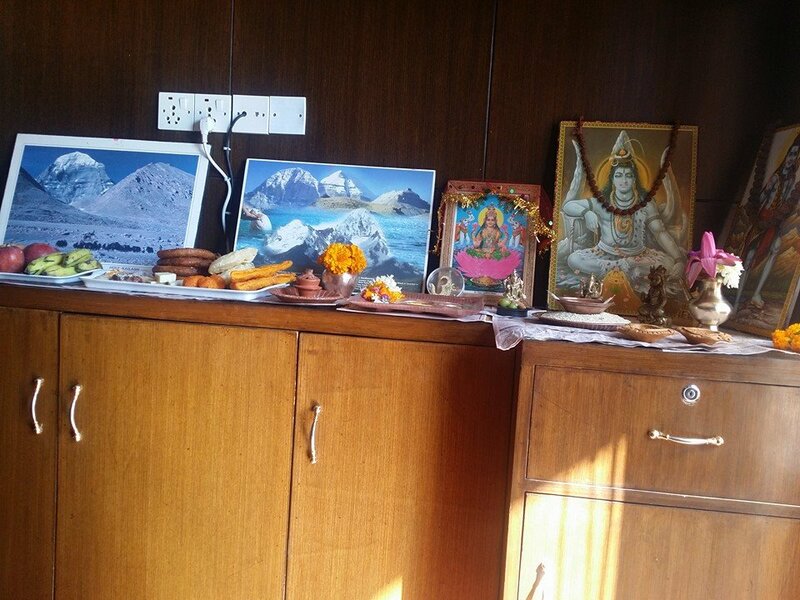 The fifth and last day of Tihar is Bhai Tika. 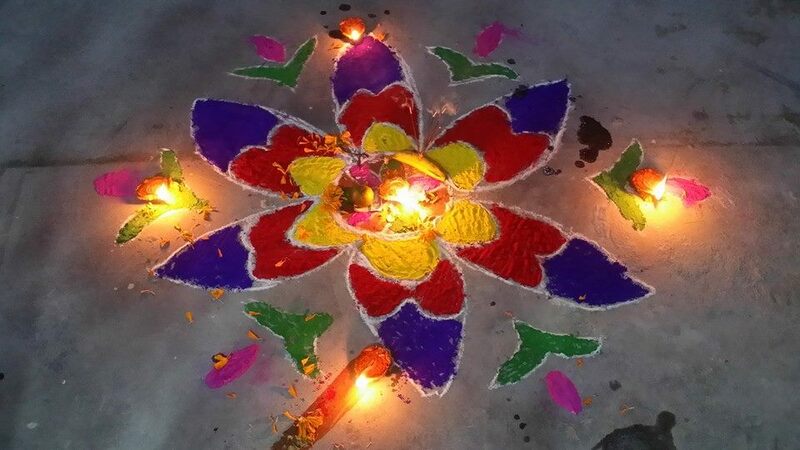 This day sisters put “Tika of five colours” Paanch Rangi Tika – Yellow, green, red, blue and white on forehead of her brothers, to ensure long life and pray to Yamraja for her brother’s long life and prosperity. Sister offers brothers Shaguns of dry fruits especially walnut, hazelnut (Katus), fruits and sweets and in return the brothers give their sisters gifts and money. The brothers also put Pancha Rangi Tika to sister and bow her on her feet and assure her to protect her till the end of life. On this day, Rani Pokhari Temple (located at central Kathmandu) is opened for those who do not have any brother or sister. This is the only time in a year the temple is open to general public.